The statue of Dimitrije Tucović has been in the centre of the busiest square in Belgrade – Slavija – for over sixty years. The political leader and leading member of the Social Democratic Party of Serbia at the beginning of the twentieth century, was transferred to the capital thirty-five years after his death, on November 20th, 1949. There he was buried on the notes of the International, in the presence of hundreds of Belgrade citizens and the leadership of the Communist Party from all over the former Yugoslavia. When the square took the name of Dimitrije Tucović, this choice brought to completion an ideal historical journey in the eyes of Party officials: from the first steps of the labour movement to the communist seizure of power after the Second World War. Today mostly known for traffic jams and for "the first McDonald's in Eastern Europe" (March 1988), the square was in fact at the time considered one of the most important places for Serbian and Yugoslav socialism, where May 1st events had been held since the beginning of the century and where the Communist Party of Yugoslavia was founded in 1919. 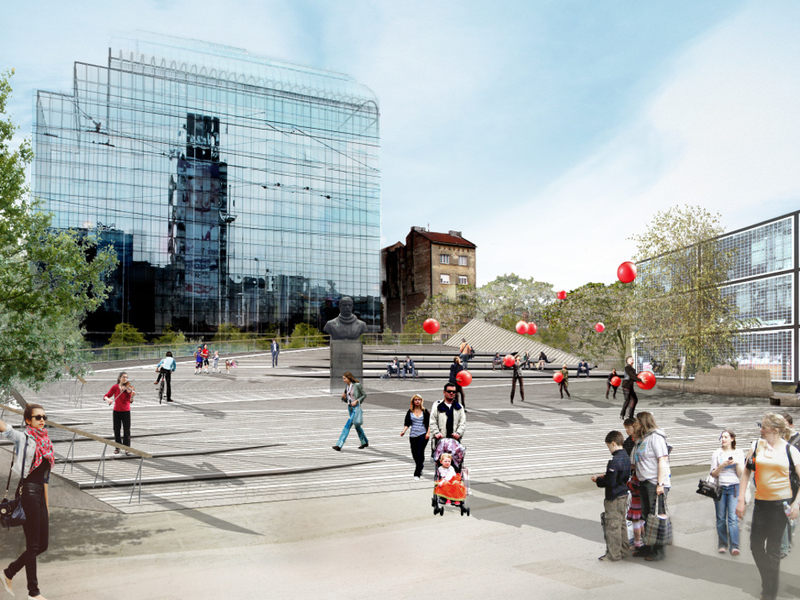 In all probability Slavija square, point of arrival of the main urban axis, will go through a long anticipated redevelopment in the coming months. However, there is very little talk about the fate of Dimitrije Tucović's monument and remains. The fact that 2014 will see the centenary of the First World War, as well as of his death, met fighting in a war that he had strongly opposed, is not for the time being contemplated by public debate. Though few today are aware of his experience and his thoughts, Dimitrije Tucović remains a figure of undoubted importance in the political history of the region. Born in a village of southern Serbia in 1881, at the age of eighteen he moved to Belgrade to study and began frequenting socialist circles. 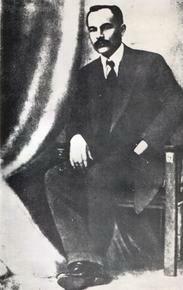 When the Social Democratic Party of Serbia was founded in 1903, he became one of its leading exponents and, in the following decade, he devoted himself to an intense activism that, in addition to the commitment in the local political scene, made him the protagonist of a number of initiatives promoted by the international socialist movement. The outbreak of the First Balkan War in 1912 inaugurated long years of war for Serbia. Tucović, like many of his countrymen, was mobilized for the expedition to Albania. In July 1914, he was recruited again to defend the country from the offensive of the Austro-Hungarian Empire that followed the attack in Sarajevo. In those years, leading the Serbia's haggard proletariat, Tucović fought for workers' rights and greater social justice, while his foreign policy views denounced Habsburg and Ottoman "imperialism" and defended Serbia's right to independence. Unlike many other South Slavic social-democrats of the time, he was not particularly interested in the idea of Yugoslavia, but strongly supported the need to promote a federation of all Balkan peoples, based upon respect and cooperation as the only way to ensure a future for the region in front of the policies of the great powers of Europe. Especially after the experience of the Balkan wars, he was also harshly critical of what he considered the imperialism of the Balkan countries – not unlike that of the West – condemning the expansionist ambitions of newborn states in the region, militarism, and military violence against civilians. He attacked in the first place "our own bourgeoisie" and Belgrade's "Greater Serbia" policy. He wrote that with the Balkan wars Serbia "doubled not only its territory, but also its external enemies". Particularly strong pages of his denounced the brutality of the Serbian army towards the Albanian population during the military campaign of 1912. In 1914, Tucović manages to publish "Serbia and Albania", certainly his best known text which, in addition to systematising these reflections, studied for the first time in detail the relations of the period between the two Balkan peoples. However, these summer months were particularly hectic and brought with them the so-called "enthusiasm of August", which accompanied preparations for the imminent conflict in Europe. In the face of the winds of war, even the Second International – which brought together European social-democratic and socialist parties – eventually flaked off and the socialist parties of the largest European countries aligned with their governments and their respective national causes. Tucović's small Social Democratic Party of Serbia is among the few formations of the continent to escape this logic, remaining faithful to the socialist principles of anti-militarism and voting against so-called "war credits" in parliament. In parliamentary and media debates, he condemns the government for the attack in Sarajevo and accuses it of leading the people of Serbia to a disastrous war. Many leaders and activists end up at the front to fight Austro-Hungarian forces, including Dimitrije Tucović, who falls on November 20th in the battle of Kolubara. His memory is reclaimed after the Second World War, especially with Tito's revival of the idea of a Balkan federation, and later with the break between Yugoslavia and Stalin's Soviet Union and the following rediscover of indigenous socialist tradition. Many schools and streets across the country are named after him. Over the years, the bust placed in Belgrade sees the square around it turn into a road and commercial junction, devoid of any monumental character. With the transition of the nineties, the square regains the traditional name of Slavija and, like the whole capital, is the object of major urban and ideological restructuring. In all probability, only budget cuts have left Tucović in place until today, semi-abandoned and only remembered during occasional trade union demonstrations. If the schedule is kept, 2014 will be the year when this important area of the city begins to catch a glimpse of its urban-architectural future. A public tender was issued in recent months and many projects have been scheduled by city authorities to start in the summer. 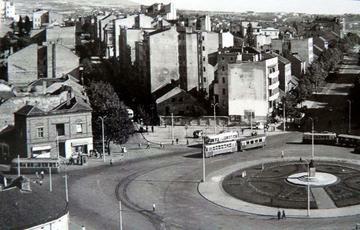 The centre of the square, where Tucović's body is located today, will host a large fountain, while the monument will be moved into a green space just in front of the new headquarters of the National Bank. As for the remains, they may be moved to the cemetery in Belgrade, in the area that houses public figures. However, what is clear is that the 2014 commemorations, dedicated to the centenary of the outbreak of the Great War, are not planning to include mention of one of the most famous victims of that conflict. Tucović's thought is confined to a distant political and ideological past, but these may not be the only reasons for this marginalisation: communist faith did not prevent Aleksandar Ranković – for many years at the top of Tito's power structure – to be commemorated last August in the thirtieth anniversary of his death. If the figure of Ranković has been substantially rehabilitated by many in a patriotic sense, the legacy of the social-democratic leader struggles to be taken into account in all its complexity, not always manageable in respect to issues that largely affect the Serbian history of the last century and today's relationship with it. The centenary year, 2014, will perhaps finally bring clarity on the physical and ideal space that democratic Serbia wants to dedicate to the memory of Dimitrije Tucović.